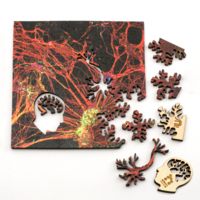 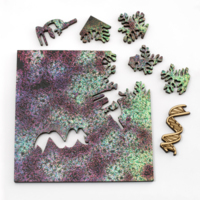 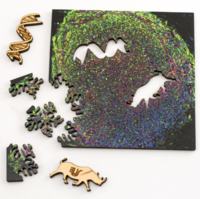 These laser-cut, computer generated jigsaws feature microscopic photographs of cells created by scientists. 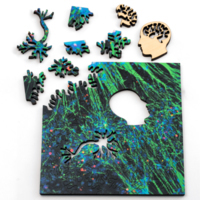 Neural networks, skin cells, stem cells, and more are presented in colorful detail, exposing the inner workings and beauty of cellular structures. 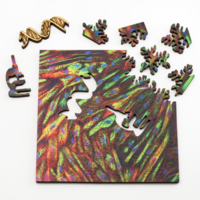 The puzzles are produced in collaboration with Ilus Art and feature our unique computer generated cut style inspired by crystal growth.